EPW049741 ENGLAND (1936). 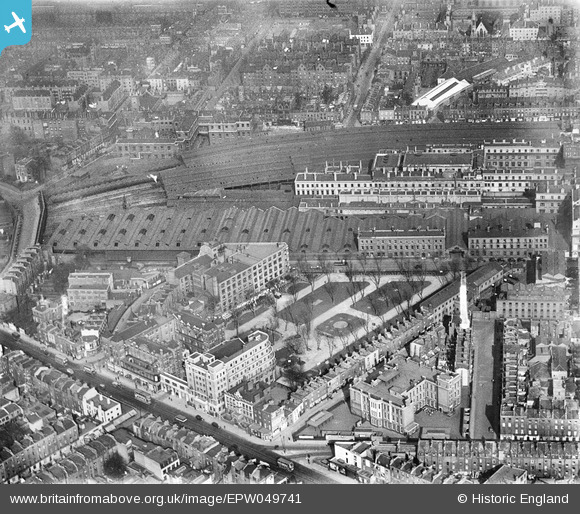 Euston Railway Station and St James's Gardens, Somers Town, 1936. This image was marked by Aerofilms Ltd for photo editing. Title [EPW049741] Euston Railway Station and St James's Gardens, Somers Town, 1936. This image was marked by Aerofilms Ltd for photo editing. Tram, perhaps slowing down to pick up passengers.